The first documented definition of the word "cocktail" was in response from a letter in the May 6, 1806 issue of The Balance and Columbian Repository in Hudson, New York asking to define the word. In the next issue on May 13, 1806 the paper's editor wrote back that is was "a potent concoction of spirits, bitters, water and sugar..." On another occasion years later J.E. Alexander also describes the cocktail similarly in 1833, as he encountered it in New York City, as being "rum, gin, or brandy, significant water, bitters, and sugar, though he includes a nutmeg garnish as well." 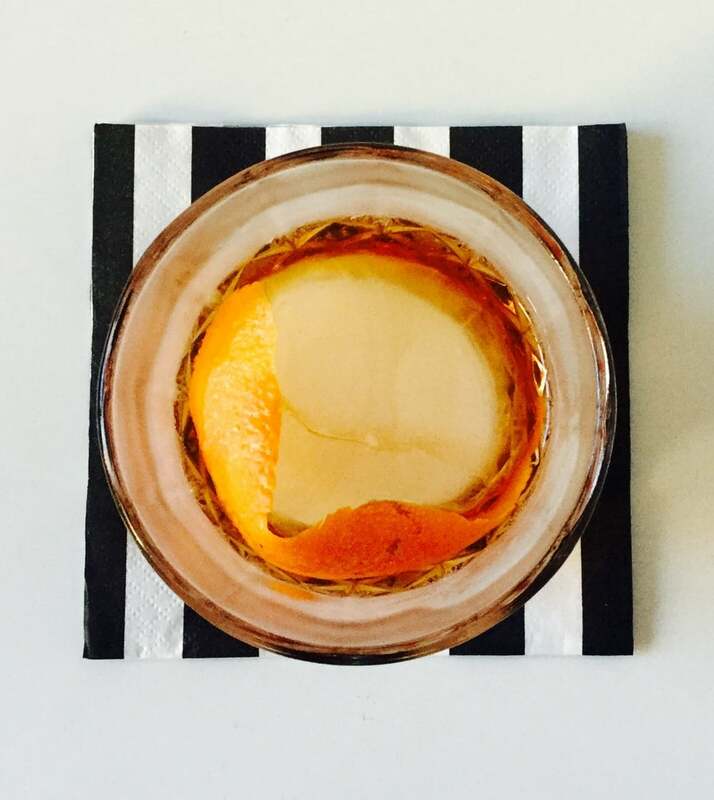 Now after reading this, what does that remind you of...The Old Fashioned we know to love! The name "old fashioned" came about referring to just that, the oldest reference to a cocktail! Of course we know the old fashioned as being made with whiskey and it gained the most popularity with that spirit in the 1880's, but what if we decided to go back and make it with brandy one of the first ways it was made! 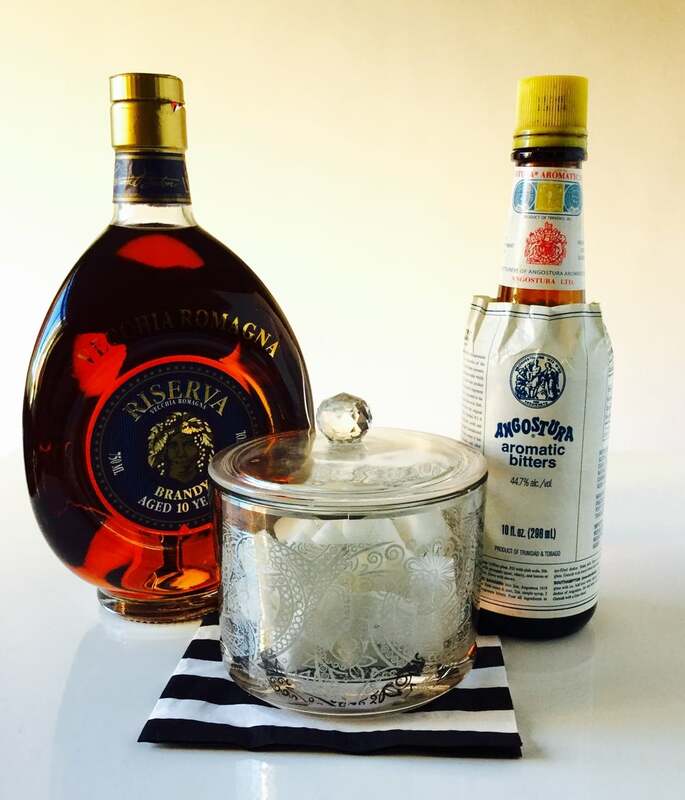 It is 2016 people and that means that it is the perfect time to switch up your normal drink routine and let me tell you with brandy this cocktail rocks even more! Vecchia Romangna 10yr. Italian Brandy: Distilled from the Trebbiano grape with the "Charentais" method using a slow distillation process using small copper stills. Aged 10 years in small Limousine or Slavonian oak casks. Dry, full bodied, smooth with notes of vanilla and rich fruits. Angostura bitters: Most commonly used bitters at the bar. (I am obsessed!) Recipe developed as a medicinal tonic by German surgeon general, Dr. Johann Gottlieb Benjamin Siegert in 1824. Distilled in Trinidad and still made from the same 1824 recipe. Flavor notes clove, gentian root, cinnamon, and tamarind.